iStat Menus 5.11 b20 – Monitor your system right from the menubar (Beta). iStat Menus 5.11 b10 supports OS X 10.11 beta. Next story Hands Off! 3.0 – Monitor and control application access to your network and disks. Previous story iA Writer 3.0.1 – Distraction-free digital writing tool. Hands Off! 2.0.6 – Monitor and control application access to your network and disks. 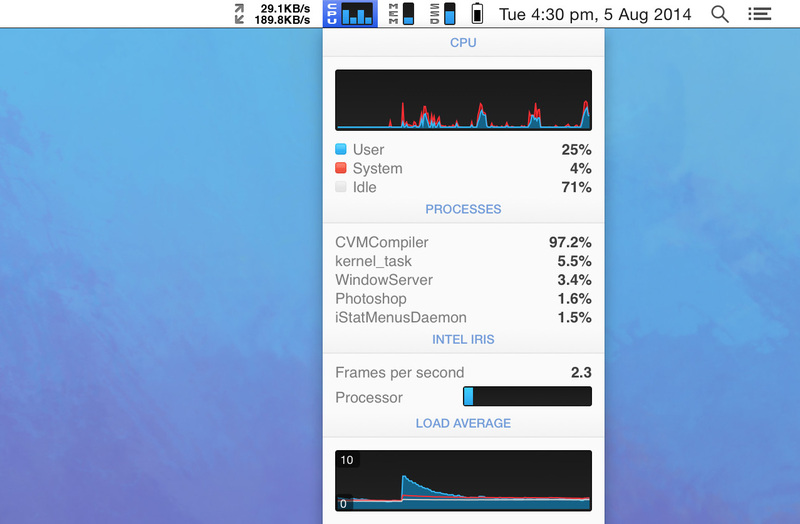 iStat Menus 5.30 (702) – Monitor your system right from the menubar. Temp Monitor 1.2.1 – Monitor your Mac’s temperature.